Pizza ovens or wood fired ovens as they are sometimes known for outdoor cooking, are rapidly gaining a foothold in the UK market, some coming from European suppliers and others being manufactured right here in the UK. The growth is originally from barbecue enthusiasts who at the first sign of the sun 'peeping out' from behind the clouds are shouting 'gangway' with a couple of kilo's of sausages and a pack of beer tucked under one arm and a wire brush in hand, to clean down last years rusty bbq before setting light (hopefully) to a sack of coals. Europeans and other sunny climates on the other hand are a step ahead and know that a 'pizza oven' is cleaner, better to cook in and can be used at any time of the year to cook anything from fish, steak, chicken, casseroles, bread....oh and yes, burgers and sausages. 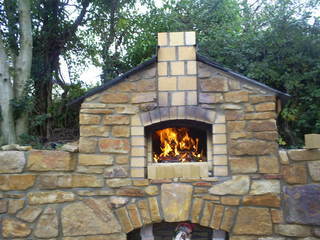 Pizza ovens supplied or we can install your own! 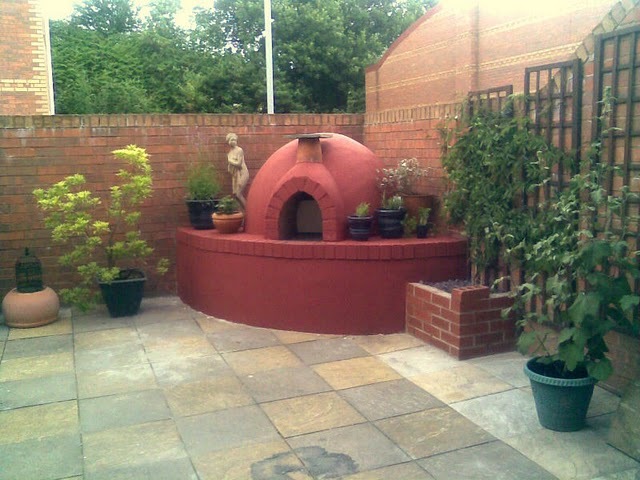 But where can we get an outdoor pizza oven and how do we go about installation in our garden? Already established here in the heart of Wales using our own ovens, we've been able to evaluate what really works and are already offering our own research information so that you can make a choice from all suppliers around the UK. These are readily available for you to buy and place in your own garden, or we will cost to build into a garden setting of your choice, completing log storage, additional barbecue and seating areas incorporated within your design or have the whole project designed especially for your garden. Once completed you're 'ready to go' and can fire up straight away. For the diy enthusiasts there's an option to buy a kit and build yourself, whatever you decide we'll help you every step of the way ensuring you'll be the proud owner and 'chef' at your own wood fired pizza oven. 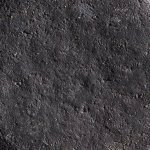 The other great thing is that there are no coals to throw away, no grill to clean and the heat that is retained for an exceptionally long time can be utilised to cook multiple meals and dishes without the need to buy more gas or fuel, just a small amount of suitable wood which is readily available. Bases for wood fired ovens come in all shapes and sizes and can be as simple as a wooden frame, steel frame or bricks and mortar. Sometimes preference is given to cost and other times for simplicity of construction which a keen diy'er will accomplish I'm sure, however we're with you every step of the way and should you need help just call or email for a prompt response. For those starting out on the journey of brick pizza ovens and wood fired ovens you can always attend a course and 'get your hands dirty' constructing a real oven before committing to the real thing, or come along and enjoy yourself and meet up with like minded enthusiasts. Whichever route you take to establishing yourself as the proud owner of your very own 'oven' your first tentative steps will be taken with us by your side. Give us a ring today or email for more info....we're there to help. Our after sales service is 'second to none' and we're just a call away. Proprietors Mike & Terry Lyons specialise in all types of outdoor cooking and construction of wood fired ovens, brick pizza ovens, fire pits and barbecues, fired by wood, gas or coals, any of which they build into garden designs and landscaping or supply as required for clients. At shows Mike & Terry will build one or more designs from scratch and complete ready for cooking any type of food, giving commentary and instructions on how to get the best out of their chosen design. Some light hearted banter to entertain observers! If you have a venue that would be suitable for our unique approach to 'alfresco cooking' please email us. Terry runs the UK's largest forum on wood fired ovens covering all aspects of ovens, cooking, recipes and more. He also hosts his own website Celtic Wood Fired Ovens covering the same, in addition to sales and teaching students at wood fired oven courses from his base at Pontypool, either on day or weekend courses. This was set up following his success tutoring students for high profile clients and offering expertise to many others. Mike has vast experience in building and construction with brick, stone, ceramics and paving having completed work for hundreds of clients latterly concentrating on the many aspects of landscaping, especially incorporating 'alfresco cooking'. The business at 'Ovencrafts' is being continually developed to incorporate Mike & Terry's interests in one of the UK's fasting growing markets. Watch an actual pizza oven being made in real time, lasts about 12 minutes.